Acclaimed expert Pete Egoscue understands that our modern, often sedentary lifestyles have drastically reduced women's capacity for full, free, flexible motion--one of our greatest health assets. Now he shows women of all ages and from all walks of life how to use the Egoscue Method to build a framework of healthy movement that will prevent illness and maintain pain-free good health throughout their lives. Egoscue's fully illustrated"e-cises"clearly demonstrate the proper and safe way to restore flexibility and function while boosting energy, recharging the immune system, and raising the body's metabolic rate. 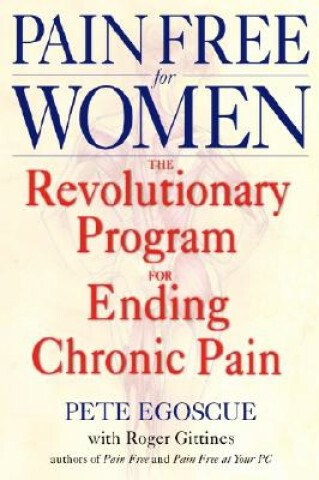 The result is an effective, permanent solution to the battle against chronic pain.